The two major military actions conducted by Russia in the past two years are operations in eastern Ukraine, including the annexation of Crimea in March 2014, and interventions in the Syrian civil war on behalf of President Bashar al-Assad starting in September 2015. These two interventions are normally discussed separately with separate strategic bases. Many view Russian operations in Ukraine to be in response to a perceived threat from NATO expansion eastward with the inclusion of former USSR member states or Soviet Bloc countries in 1999, 2004, and 2009. Intervention in Syria can be seen as a means of asserting great power influence in the Middle East, a region where the United States and the West is withdrawing influence. These assessments of Russian involvement in Ukraine and Syria are at least partially correct, but there is one common thread they both share which Russia has been fighting for since the first Russo-Turkish war in 1676. 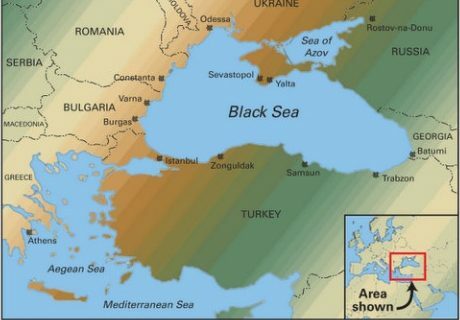 Tartus in Syria and Sevastopol in Crimea are warm water ports which provide direct Russian access to the Mediterranean or access via the Black Sea and the Dardanelles. Even before Peter the Great, access to the sea – and especially ports which are ice-free year round – have driven Russian strategic decisions. Russia fought twelve wars between 1676 and 1878, primarily against Turkey, to establish unrestricted access to the Black Sea and attempt to establish direct access to the eastern Mediterranean, enabling easy trade routes with southern Europe. By 1812, Russia had secured access to the Black Sea, but direct access to the Mediterranean was still elusive. This was significant because transit from the Black Sea to the Mediterranean requires the use of the Dardanelles and Bosphorus straits, which was, and still is, under Turkish control. Probably the closest Russia came to having unrestricted access from the mainland to the Mediterranean was during World War I. In the Constantinople Agreement, the United Kingdom and France agreed to give Russia control of Constantinople (Istanbul) and the Dardanelles and Bosphorus straits in the event of a victory by the Entente. The October 1917 revolution and subsequent Treaty of Brest-Litovsk which ended hostilities between Russia and the Central Powers removed them from the Entente and any hope of the Constantinople Agreement coming to fruition. Similar to the U.S. 6th Fleet, the Soviet Union maintained a sustained presence in the Mediterranean via the 5th Operational Squadron. A small continuous Russian presence in the Mediterranean has been made possible through an alliance with Syria. 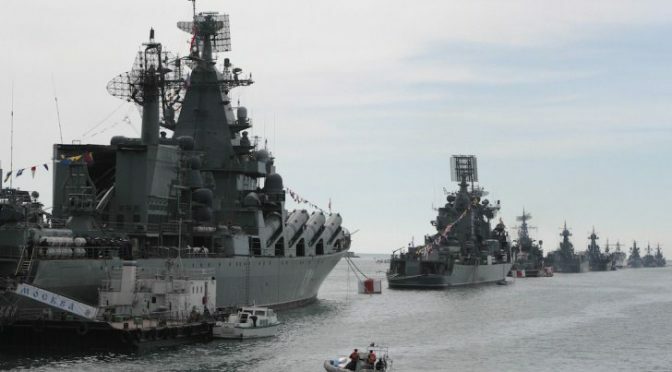 Russia has maintained a naval presence in Tartus, Syria, since 1971, and managed to maintain that presence following the fall of the Soviet Union due to a deal that absolved Syria’s debts to the Soviet Union. This naval presence in Tartus is extremely important to Russia because though multiple NATO members have direct access to the Mediterranean, Russia does not share this luxury. She is dependent on Turkey, a NATO member, for the use of the Bosphorus and Dardanelles to access the Mediterranean from the Black Sea. Maintaining a friendly regime in power through President Bashar al-Assad is key to maintaining a continuous Russian presence in the Mediterranean. The naval base at Sevastopol in Crimea was founded in 1783 by the Russian Empire. It was transferred to Ukraine, which was part of the Soviet Union, in 1978. Following the collapse of the Soviet Union, Russia set up a 20-year lease with Ukraine to maintain the Black Sea Fleet at Sevastopol. Sevastopol and Crimea are of key strategic value to Russia. It served as a staging ground for blockades and amphibious landings during Russia’s war with Georgia in 2008. Russia chose to annex Crimea in 2014 and ensure uninhibited access to the naval base at Sevastopol. By contrast, Russia did not annex Abkhazia or South Ossetia, two Georgian republics allied with Russia but not containing Russian naval bases. Even if securing naval bases is not Russia’s only motivation in Crimea and Syria, it must at least be part of its strategic calculus. 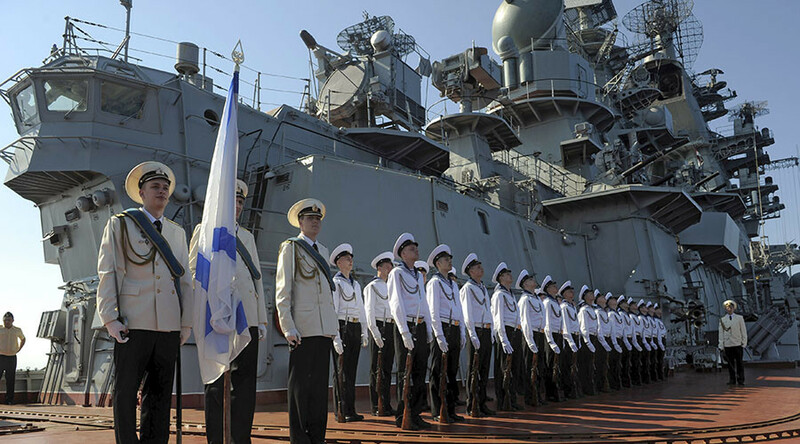 Russia has clearly demonstrated that restoring a strong naval presence is a national priority, and the Mediterranean has been a key maritime hub for western civilization for all of written history. Ensuring continued access to the Mediterranean for the Russian Navy must be at the forefront of any strategic thinking in the region. LT Jason H. Chuma is a U.S. Navy submarine officer currently serving as Navigator and Operations Officer onboard USS SPRINGFIELD (SSN 761). He is a graduate of the Citadel, holds a master’s degree from Old Dominion University, and has completed the Intermediate Command and Staff Course from the U.S. Naval War College. He can be followed on Twitter @Jason_Chuma.